CIKA receives a lot of support from people all over Victoria. Some organise fund-raising events, some give their time as volunteers in our many activities and some provide goods for sale at the events we run or on our stalls. The Gowanbrae Craft Group, located to the west of Melbourne, has been supporting CIKA for several years and, like many of our supporters, the members have never sought publicity for their efforts. The group meets regularly to produce handmade goods for our RCH fortnightly stalls. Here is what group member Judy Kranjcic wrote when describing their modus operandi. We are just a group within the Retirement Village who like to create. I mentioned CIKA and the work you do and these ladies put their hands up to help. We all do what we are able and sometimes it becomes a joint effort like one knitting the bunnies, one stuffing them and one sewing them up. We have started making Xmas trees and the same applies. One cuts them out, one sews them up, one turns them through and irons them then some others put the beads on. Obviously they run a very efficient operation and CIKA is very grateful to be the beneficiary of their hard work. A big thank you to this lovely group of women! 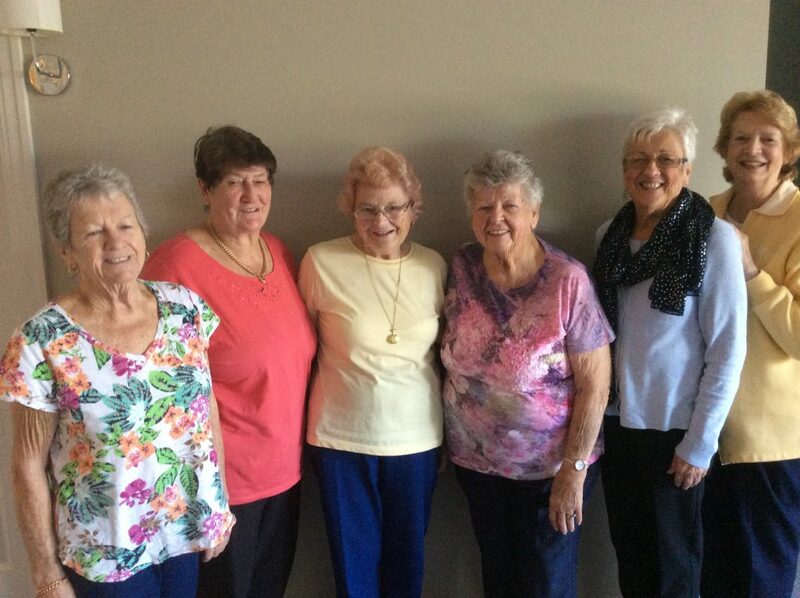 Left to Right: Carol Stanley, Trish Adams, Gwen Schultz, Dawn McQueen, Judy Kranjcic, Doris Dobell.